Destiny Faraday makes a point of keeping a distance from her classmates at Hedgebrook Academy. Routine and predictability help her stick to her number-one rule: Don’t get attached. But one day, with the crumpling of a calendar page and an odd encounter with a mysterious stranger, routine and predictability are turned on end. Unexpectedly finding a car at their disposal, Destiny and three of her classmates embark on an unauthorized road trip, searching for one fair day – a day where the good guy wins and everything adds up to something just and right. 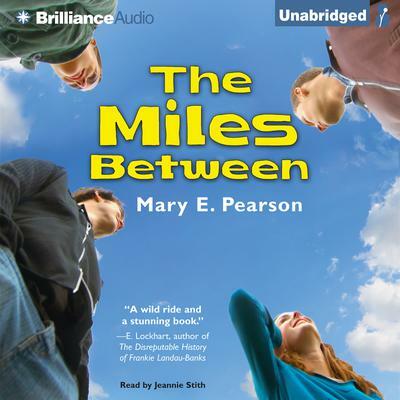 The Miles Between explores the absurdities of life, friendship, and fate – and also the moments of grace and wonder. You never know where a road trip might take you.